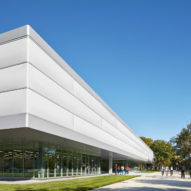 American studio John Ronan Architects has completed an academic building at the Illinois Institute of Technology that is meant to have a "light, cloud-like appearance". 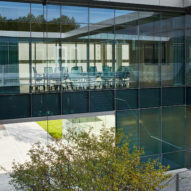 The building, officially known as the Ed Kaplan Family Institute for Innovation and Tech Entrepreneurship, is situated in the heart of the IIT campus, which was master-planned by Mies van der Rohe in the 1940s. 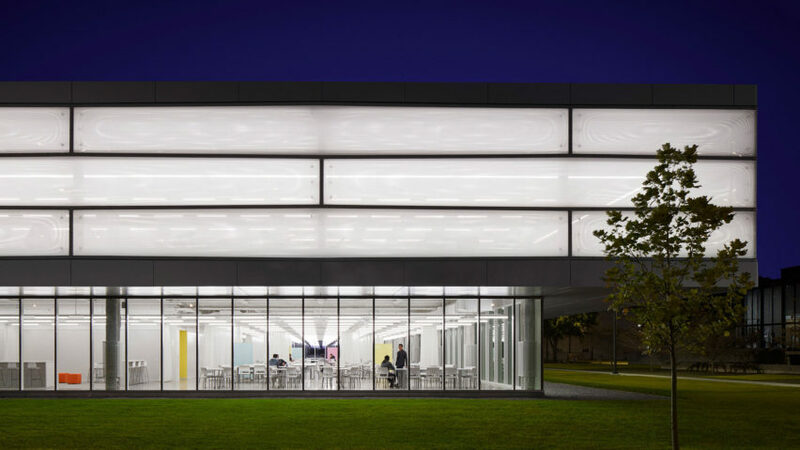 The campus features numerous buildings by Mies, who led IIT's architecture programme from 1939 to 1958, including the iconic SR Crown Hall. 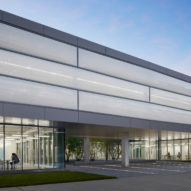 The Kaplan Institute – designed by local firm John Ronan Architects – is the first academic building to be constructed at IIT in over 40 years. 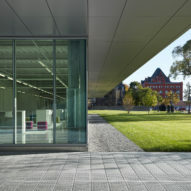 A student centre by Rem Koolhaas and residence hall by Helmut Jahn opened on the campus in 2003. 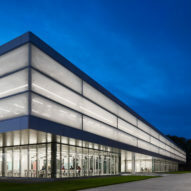 The new building houses IIT's Institute of Design, along with serving as a hub for multidisciplinary projects at the university. 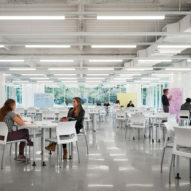 Encompassing 72,000 square feet (6,689 square metres), the facility is intended to foster collaboration among students, faculty, alumni and external partners. 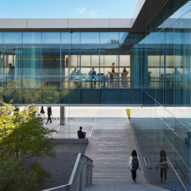 "It's an idea factory – a place of creative collision between students and faculty across disciplines, where new ideas are explored and tested on their way to becoming meaningful innovations," said firm founder John Ronan in a project statement. 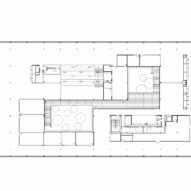 Rectangular in plan, the two-storey building has a long and low profile. 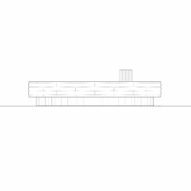 The top level cantilevers over the lower floor, helping shade its glazed walls. The upper portion is wrapped in cushions made of ethylene tetrafluoroethylene (ETFE). "The ETFE foil is one per cent the weight of glass and gives the building a light, cloud-like appearance," the studio said. The dynamic ETFE facade also helps mitigate solar heat gain. 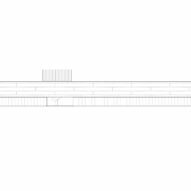 The facade's fritted inner layer can be moved back and forth via pneumatics to modulate the amount of solar energy that enters the building. 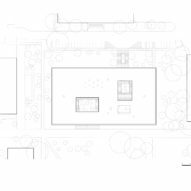 The building has two courtyards that act as nodes for chance encounters and the exchange of information. 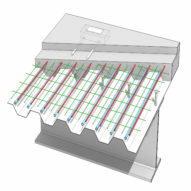 They also help ensure interior spaces are bathed in natural light. 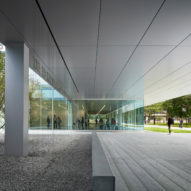 "These two-storey, glazed courtyards bring natural light deep into the floor plate, creating a spacious, airy and light-filled interior and a continuous connection with nature," the team said. 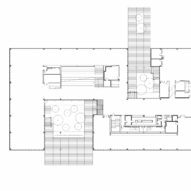 Inside, the team created open rooms that can be reconfigured as needed. 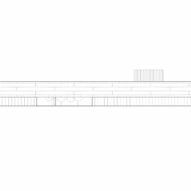 The building's diverse programme includes classrooms, exhibition areas, and spaces for prototyping and fabrication. 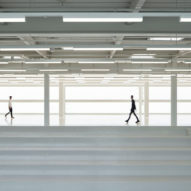 The interior has an industrial atmosphere owing to its concrete flooring, visible steel columns and exposed ceilings. Rooms are mostly white, with chair upholstery adding dashes of colour. 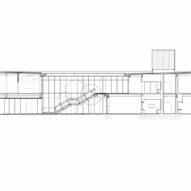 John Ronan Architects was started in 1999 and is based in Chicago. 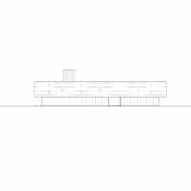 Other projects by the studio include the square-shaped Courtyard House, which has wood-wrapped facades and framed views of Lake Michigan. Photography is by Steve Hall.